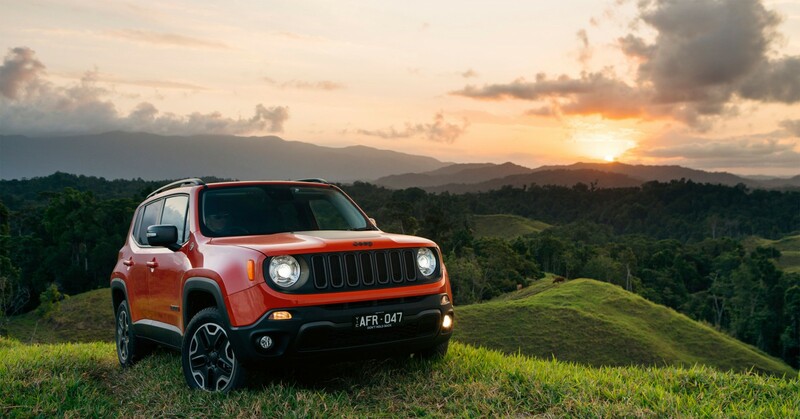 The Jeep Renegade has officially joined the Grand Cherokee, Cherokee, and Patriot in Jeep’s five star safety line up after it was awarded an overall score of 36.41 points out of 37 to give it a maximum 5 stars by the Australasian New Car Assessment Program (ANCAP). 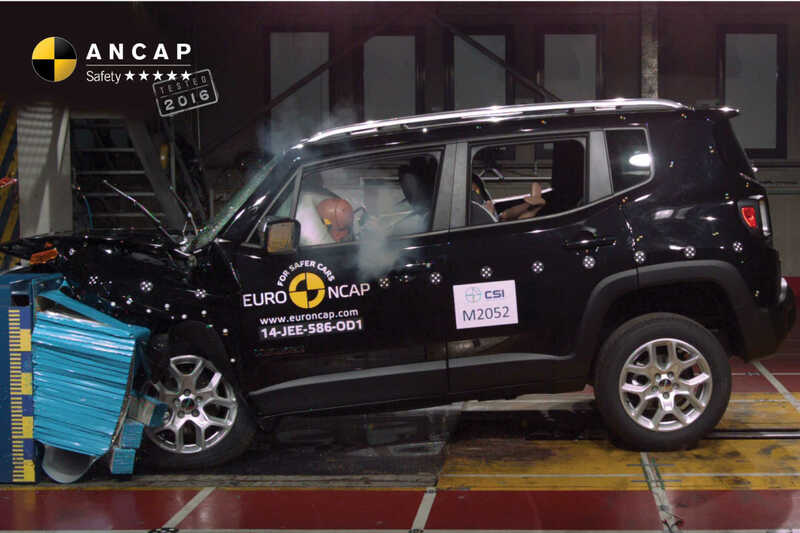 Achieving perfect scores for the side impact and pole tests, the Jeep Renegade’s whiplash protection was also described as good – the best possible result issued by ANCAP. Critical to the Renegade’s maximum safety rating are a number of key safety features including driver assistance controls such as Electronic Stability Control (ESC), Emergency Brake Assist (EBA), Reversing Collision Avoidance, Roll Stability System, Speed Assistance, Electronic Brakeforce Distribution (EBD) and Rear-View Camera. Also available in the Renegade’s impressive suite of safety equipment are Trailer Sway Damping, Blind Spot Monitoring and Lane Departure Warning (LDW). “The Renegade performed well in all areas of assessment, scoring full marks in the side impact and pole tests. A high score was also achieved in the frontal offset test which simulates a head-on crash with another vehicle,” James Goodwin, ANCAP Chief Executive Officer. 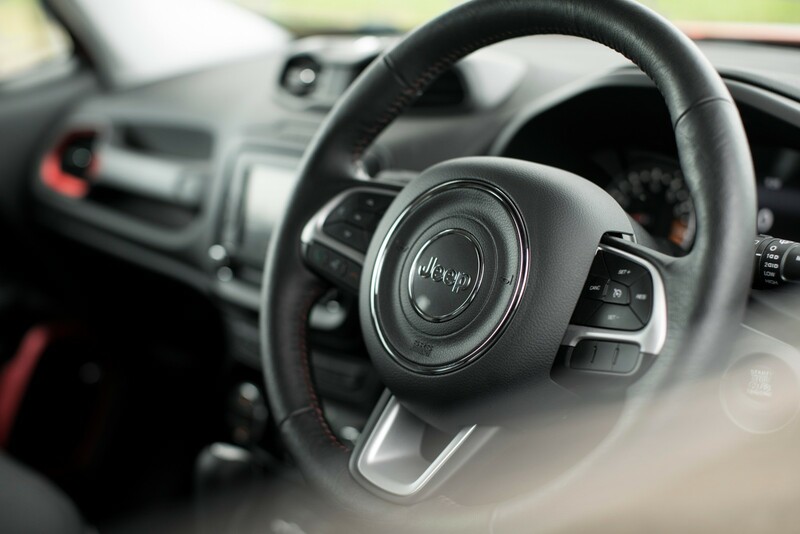 The Jeep Renegade is sold in New Zealand in its ultimate form, the Trailhawk, which means that it is equipped for every adventure, from its drivetrain, which boasts a 2.4 litre engine, matched to a nine-speed automatic gearbox driving all four wheels through Jeep’s Selec-Terrain four wheel drive system to its stylish and comprehensive equipment package. It is priced at a recommended retail price of $49,990 plus on-road costs. 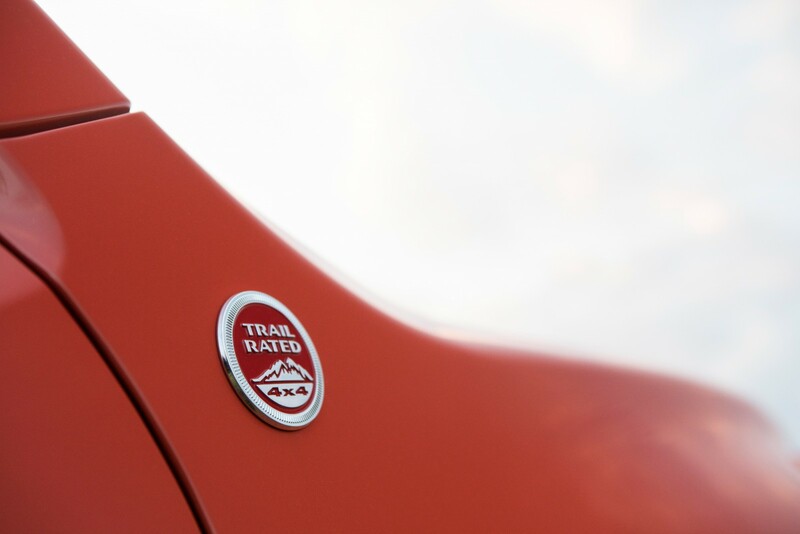 “This fine result proves that the Jeep Renegade is not just designed to go just about anywhere,” says David Smitherman, Chief Executive Officer of Fiat Chrysler New Zealand, “it is also designed to get there with the highest levels of safety and protection, making it the ideal car, whether its battling Auckland’s traffic, climbing a mountain or crossing a river.